The Mama Needs Box is all about self-care for mamas! Each month you will receive a themed box containing 4-6 items that “mama needs” to take care of herself for $39.99/month + shipping. You’ll also receive some self-care tips and access to a free Spotify playlist that coordinates with the monthly theme. COUPON: Use code MSAFREESHIP to get free shipping on your first box! The Products: Each box contains 4-6 items that “mama needs” as well as self-care tips and access to a free Spotify playlist all curated around a monthly theme. We received several inserts in our box. The first gives instructions for how to access the Spotify playlist that goes along with this month’s theme. This month’s playlist had a lot of familiar songs that I probably had my own playlist of at some point, so it was fun to be reminded of those great songs! The second card gives a brief description of the items in our box including some web links for their sites. 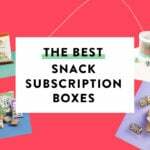 One unique thing about this subscription is that it includes a little card with self-care tips, some of which involve using the items in your box. These are great reminders of little things you can do to take care of yourself and I love how focused the curator of this box is on helping mamas to do this! We also received this cute sticker! The first item in our box was this 4 oz bag of ground coffee which gave off an amazing aroma when I first opened the box. While coffee might be a sort of subjective item, I am one mama who survives on coffee, so this was a welcome treat for me! This exclusive blend was delicious and fresh, a little nutty with a hint of fruit to it. This coffee comes from Maddox Coffee in North Carolina, and I love that the curator of this box chooses businesses that are local to her and shares them with us! This coaster was designed by fellow mama Sarah Overton and they suggest using it as a “hint” when mama needs more coffee or wine. I love this design! To munch on while we enjoyed our coffee, we received this bag of “nosh” which was basically a bag of granola clusters. Since this was a mocha chip flavor it had a good amount of coffee flavor, although not super strong, and chocolate chips throughout to add some sweetness and texture. It was a great treat and perfect as a midmorning snack to accompany my second cup of coffee! This granola comes from a small batch bakery in North Carolina that specializes in organic, vegan, wheat and soy-free goodies. They even have a seasonal subscription with limited edition flavors. Yum! This candle is very aptly named Coffeehouse and that is just what it smells like! Fresh coffee beans, hints of vanilla, maybe even some chocolate and a hint of spice. It smells so good! I love that it comes with a cute sticker on top with the Mama Needs name. There is no sizing information on here, but I am guessing it is a 2 oz soy candle and they say you can even use the soy wax to moisturize your hands! This tea towel is really pretty and such a great reminder to take notice and be grateful for the little things each morning. Sleepy mamas like me can totally benefit from the reminder! I love this design with the wood grain fabric and that cute crochet detail at the bottom. This is a pretty big towel too at 18″x25″ and looks cute in my kitchen! This book is so relatable to me as a mama and I plan on sharing it with my own mama friends, or “sisterfriends” because I know they will get a kick out of these anecdotal stories as well! I love that it is divided into sections and that there are different stories from various women – it makes it an easy read for busy moms that don’t get to enjoy their books in one sitting any longer! This book falls under the Christian life category and while some of these women mention their faith in God, which is a viewpoint not all subscribers might share, I still think the stories of motherhood are great for a laugh and something most mamas can relate to! Verdict: This month’s Mama Needs Box felt just like I was receiving a care package from a good friend! The items all felt very uplifting from the funny, relatable book to the caffeinated coffee and that pretty kitchen towel – I definitely felt the love this mama was sending out and enjoyed the items a lot. Since this was a coffee themed box it might not be for everyone, but as a coffee lover, I was happy! I am estimating the total retail value to be about $44.99, which is just shy of the $45.99 ($39.99 + $6 shipping) box, although since my estimate is rough, we really could be breaking even. While you aren’t getting anything extra as far as retail value, I appreciate that several of the items were exclusively designed and came from local businesses and smaller shops. I also think that the self-care tips and Spotify playlist are thoughtful and add some additional value to the curation. Can you still get this box if you sign up today? 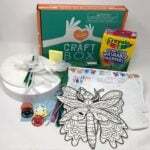 As of publication, April boxes are still available, but quantities are limited! Value Breakdown: At $39.99 + $6 shipping for this box that means each of the 6 items has an average value of approximately $7.67 each. 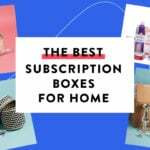 Check out all of our Mama Needs Box Reviews and the best subscription boxes for moms in 2019! What do you think of the Mama Needs Box? How do subscribers rate Mama Needs Box? Do you subscribe to Mama Needs Box? Add your rating now! Ha Ha when I first saw the authors name I thought it said Holy Mackrel.